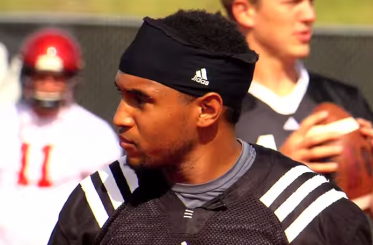 For Ducks fans, Vernon Adams‘ decision to pursue graduate studies at the University of Oregon was met with open arms. But not everyone has remained enthusiastic about Adams’ arrangement to transfer. Vernon Adams will transfer to Oregon to compete for the starting quarterback vacancy left by Marcus Mariota. 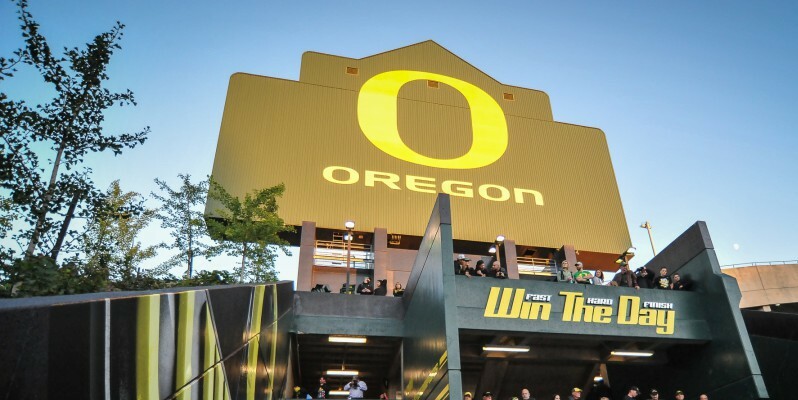 The monumental task of replacing Heisman Trophy winning quarterback Marcus Mariota was somewhat alleviated for the Ducks when the former Eastern Washington quarterback recently accepted Oregon’s scholarship offer. Adams announced he will compete for the Ducks’ quarterback position next year by utilizing a fifth year graduate transfer rule. The graduate transfer rule was initially set up to help prospective graduate level student-athletes transfer to schools without missing a year of eligibility. The primary focus of the rule is to provide students an opportunity to enroll in graduate programs that aren’t offered at their current school, but it’s the ancillary benefit, a player’s uninterrupted eligibility, that some in the FCS fear is being exploited as de facto free agency. And some FCS coaches, such as head coach Rob Ash of Montana State and Adams’ former EWU head coach Beau Baldwin, are voicing concerns to get the rule changed. 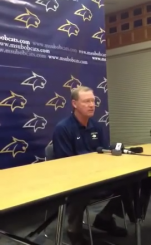 Montana State head coach Rob Ash shared his frustrations over the grad transfer rule with ESPN. However, Adams is scheduled to graduate from EWU this spring and begin a graduate program at Oregon, thus honoring his academic scholarship agreement as an undergraduate for EWU. In the late 1970s, the NCAA split Division I athletics into two groups, Football Bowl Subdivision (Division I-A) and Football Championship Subdivision (Division I-AA). While both are technically Division I, FBS teams and players receive considerably more national attention than most FCS schools, with access to more resources such as state-of-the-art training facilities and a variety of professional opportunities after graduation. 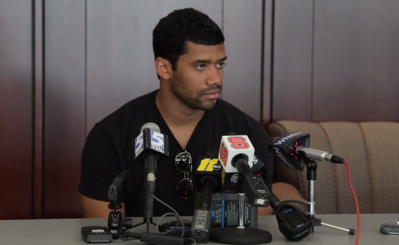 The most notable example of a student-athlete transferring to an FBS school for a single season was current Seattle Seahawks quarterback Russell Wilson. Wilson transferred from North Carolina State to Wisconsin using the graduate transfer rule, affording the dual sport star the opportunity to play one year for the Badgers’ football team. NFL and Super Bowl winning quarterback Russell Wilson used the same graduate transfer rule as Adams to transfer from NC State to Wisconsin his final year of eligibility. At the time, Wisconsin was in the same position as Oregon is now, desperately seeking a qualified and experienced player to replace graduating quarterback Scott Tolzien. Brett Bielema, former head coach of Wisconsin, told ESPN at the time that his quarterbacks ”aren’t anywhere where we need them to be for us to be a competitive team in the fall.” Wilson transferred, led Wisconsin to the Rose Bowl, and was selected in the NFL draft. Nobody complains, everybody wins. The Ducks, while boasting a talented young class in line to eventually replace Mariota, weren’t sure that they had the right guy for the job. 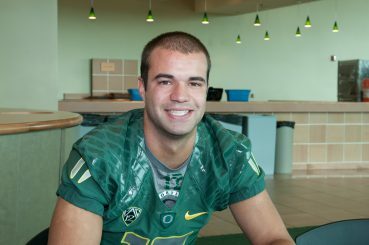 Jeff Lockie hopes his two years of experience under Mariota will help him next season as the Ducks seek a new starting quarterback. And it seems that two-year Mariota understudy, Jeff Lockie, hasn’t demonstrated complete mastery of the fast-paced Oregon offense. The Ducks are looking for the X-factor type, a wildly talented player who brings proven experience to a team filled with talented players. Not just anybody, but a special somebody. Enter Adams, a dual-threat FCS quarterback who twice was runner-up for the Walter Payton Award (FBS Heisman Trophy equivalent). EWU head coach Beau Baldwin told ESPN 700 radio that he didn’t totally agree with Adams’ transfer decision. But lately, Baldwin has changed his tune. During a radio show appearance on 700 ESPN, Baldwin made it clear that he was unhappy with most of Adams’ decision. Baldwin’s change of heart may stem from the reality that EWU must now prepare for its season opener against the Ducks at Autzen stadium, and most likely Baldwin’s former quarterback. According to ESPN’s Kyle Bonagura, Baldwin has since informed Adams that he couldn’t use the school’s athletic training facilities or train with the football team, despite Adams current status as a student on athletic scholarship. Not everyone in the FCS shares the same sentiments as Ash and Baldwin. Big Sky commissioner Doug Fullerton told ESPN that while the rule may allow for this type of free agent situation to occur, there is legitimacy in a player’s post-graduate freedom to choose. “I think there is some legitimacy to the argument that if I came here, I play, I gave you seven days’ work every week and I graduated on time, I’ve done what you’ve asked me to do,” Fullerton said. The graduate transfer rule ensures that once players fulfill their contractual scholarship obligations as an undergraduate, they are free to pursue their graduate level aspirations without any obstacles. But Baldwin’s refusal to allow Adams access to EWU’s athletic facilities is concerning behavior and a very real road block for Adams during his final months at EWU. Ultimately, the licit graduate transfer rule protects an individual’s interests beyond college, in the grey area between student athlete and professional athlete. 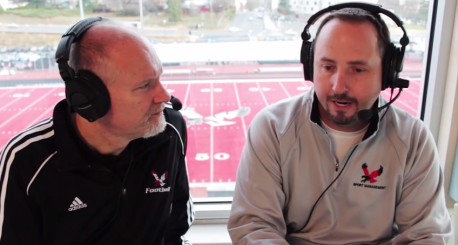 Adams has clearly exceeded the athletic expectations of both Baldwin and the EWU football program and should be rewarded, not punished, for his contributions. At the end of the day, college athletics are a complex animal, with a variety of interests at work. But players such as Adams and future collegiate stars deserve continued support from their coaches, schools, and fans, wherever they end up. Anything less just smacks of sour grapes.